Hello, I'm Gregor and I put this site together. 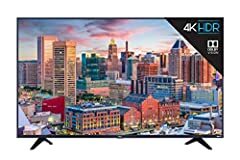 At first, you'll find an overview of recommended 60 inch televisions, followed by a public poll and a general buying guide on 60 inch television. Further down on this page, we do link to other well-written articles and reviews about 60 inch televisions. At last, you'll be able to weight in your own opinion in the comments section. If you also want to vote on the best 60 inch television, click here to view the poll. Television manufacturers are always pushing the limits of display technology to develop images that are sharper and more lifelike. Consumers benefit greatly from these innovations but the marketing can sometimes get in the way of what matters to you. How do you know a feature is something you need and not just a gimmick? A few years ago you might have seen a showroom floor full of 3D televisions. Now only a few TVs are capable of 3D and it is no longer a headlining feature. We’ve compiled a list of the most common features to help you find the panel that will meet your needs. Whether you are looking to upgrade your home theater or want to bring a high-definition set into the conference room, knowing the answers to these questions will help you see past flashy advertising and understand what each model has to offer. The most marketed feature about a television is its resolution. Resolution refers to the number of pixels a TV can display. Most televisions sold today are considered “high definition” and are capable of outputting at 1080p (a resolution of 1920x1080 pixels). This has been the standard for broadcast, streaming and Blu-ray content for the last ten years. Televisions that support 4k resolution have recently come down in price and are being strongly marketed toward the average consumer. These TVs can display images at 2160p or 3840x2160 pixels. This is four times the resolution of a 1080p panel. Television manufacturers use different marketing to say the same thing: 4K, Ultra High Definition, UHD, SUHD and Ultra HD are all used by companies to advertise a 2160p resolution. These displays offer a far sharper image than their 1080p counterparts but to enjoy the upgrade you must have access to 4k content. Content at 4k resolution is available through many streaming services and on special UHD Blu-ray players but at a premium price. Viewing distance is an important thing to consider when deciding whether a 4k set is for you. This is because the further away you are, the less you will be able to distinguish between individual pixel. When it comes to 60-inch models, most people will not be able to benefit from the resolution if they are sitting more than eight feet away. Who most benefits from 4k? Clear beneficiaries of 4k resolutions are those that have access to higher resolution content and sit at a viewing distance of less than eight feet. This would include those with cozy home theater set-ups or chord cutters who watch have content available over streaming services in 4k. Buyers looking for a set to watch over the air television or cable may be better served by a high quality 1080p set. While some game consoles have upgrades that allow for 4k gaming, this is not yet a standard of the gaming industry and many consoles are simply upscaling lower resolutions to fit the screen. Businesses looking for a display for a common area or conference room will have to decide whether the increased sharpness is worth the extra cost. 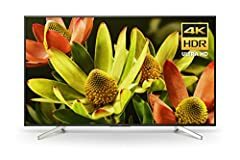 Televisions that are 4k often also support some form of HDR. This stands for “high dynamic range.” HDR refers to both the panel’s ability to support a high contrast by having both high luminesce and deep blacks on the screen simultaneously. These panels can also display a wider range of color than other models. This is achieved by different back lighting technologies; we’ll get to those shortly. Like 4k, HDR only matters when the source being displayed was made for the technology. The higher contrast and wider range of colors make movies and shows filmed in HDR pop with color. Home theater applications benefit the most from HDR since movies and specially filmed shows are the most readily available HDR media. These cinematic experiences showcase the technology in darker scenes. For example a flashlight shining during a scene at night will appear bright without washing out the blacks on the darker parts of the screen. HDR is still new and there is not one universal standard for it yet. Three popular versions of HDR include: HDR10, Dolby Vision and HLG. The most versatile of these standards is HDR10. Anything device that supports HDR will be compatible with HDR10 but not necessarily the other two standards. TVs are normally labeled as LED, LCD or OLED television. This describes the way the television is backlit and how the pixels are formed. LCD is the oldest backlighting technology on the market today and stands for Liquid Crystal Display. LCD televisions are lit by solid lights that remain on when the television is on. LED backlit units still use LCDs to form pixels but are backlit by rows of smaller LED lights. These lights can be dimmed by sections, or zones, to allow for deeper black levels. Newer OLED televisions feature Organic Light Emitting Diodes that can be triggered individually. While LEDs can dim part of the screen OLED screens dim each pixel independently. This allows for the deepest blacks possible. These methods of backlighting make HDR possible. LCD TVs are incapable of HDR, LED TVs can perform basic HDR and OLED panels are capable of the best HDR. OLED is not the same as QLED. QLED or “Quantum Dot” LED televisions are really LED screens with an extra layer added to help create deeper contrasts. OLED and QLED sets are still considered to be high-end products and their high price may keep away everyone except home theater enthusiasts. How smooth do you like your picture? A common feature in many televisions is tech that makes the video on your TV flow more smoothly. This is accomplished by increasing the refresh rate on a TV. You can see this spec listed in hertz (Hz) in a TV’s description. The default is 60hz which corresponds to the 60 frames per second that is standard for over the air content. Sets with higher refresh rates (like 120Hz or 240Hz) are trying to do away with motion blur in fast scenes. This can help you see action clearly in fast-paced movie scenes or during a sports game. The benefits of this feature are subjective. Some people experience the “soap opera effect” that is used to describe movement that seems artificially smooth. There are also a number of gimmicks that make you think you are getting a TV with a higher refresh rate but in reality the manufacturer is using software tricks, usually described as “motion” or “flow” technology, to make the motion seem smoother. 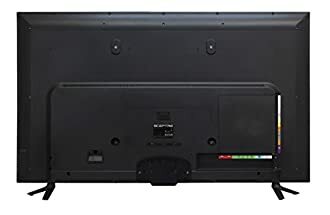 If you want to ensure you are getting a higher refresh rate television, always look at what is listed under refresh rate in the television’s hardware description. Most televisions on the market come with some Smart TV functions built in. This means they can connect to the internet and streaming services through built-in networking functionality. Some come with wireless Bluetooth connectivity and allow you to stream content from other devices. 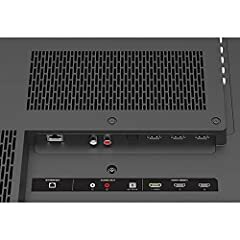 These features add such a wide range of functionality to a television that even the most casual television viewer will want to have them. Even if you find a set that does not come with these features out of the box, there are many low priced devices that come in packages no bigger than a USB drive. New: Our editorial list of additional articles. 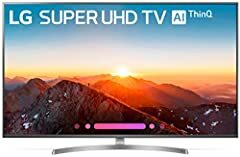 We decided to gather informartion all around the internet and present you a list of helpful, external links to interesting reads about the best 60 inch televisions and their reviews and guides. You're not convinced by the previous writings about 60 inch televisions? Of course you can just choose by visual impression, that's why we present you all our chosen products at a single glance. A click on any image is enough to open an external link to the best offer we could find. Today - 4 Rules For Buying a 4K TV! Finally, we want to present you our rating criteria for our 60 inch television comparison, so you can better understand and comprehend our recommendations and the rating process itself. Furthermore, we still ask you to keep your eyes open for short term deals in order to make some great bargains with 60 inch television in 2019. Published by G. Krambs on StrawPoll.com (last update on 2019-04-23 08:17:02). 13 of 17 readers found this article helpful.